It’s first of July, month of Saint James! here’s the latest Camino desktop calendar, designed by the CaminoWays.com team. Lisa has selected a lovely image of the iconic Alto del Perdón sculpture, on the Camino Francés just after Pamplona. 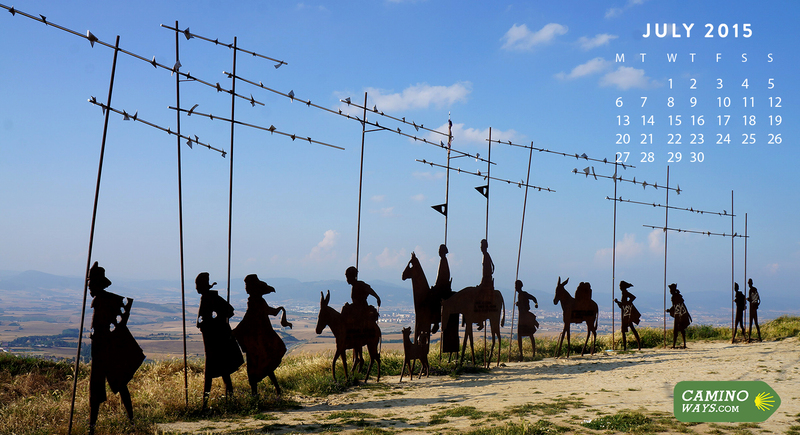 The iron sculpture honours medieval pilgrims on their way to Santiago and from the ‘Alto’ you can get an impressive panoramic view, seeing for miles and miles. We hope you like it! 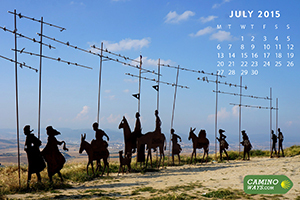 Just click on the links below to download the right resolution for your Camino desktop calendar for your desktop or laptop.